Happy Hump Day, my sweets! I hope you are all having fabulous weeks! 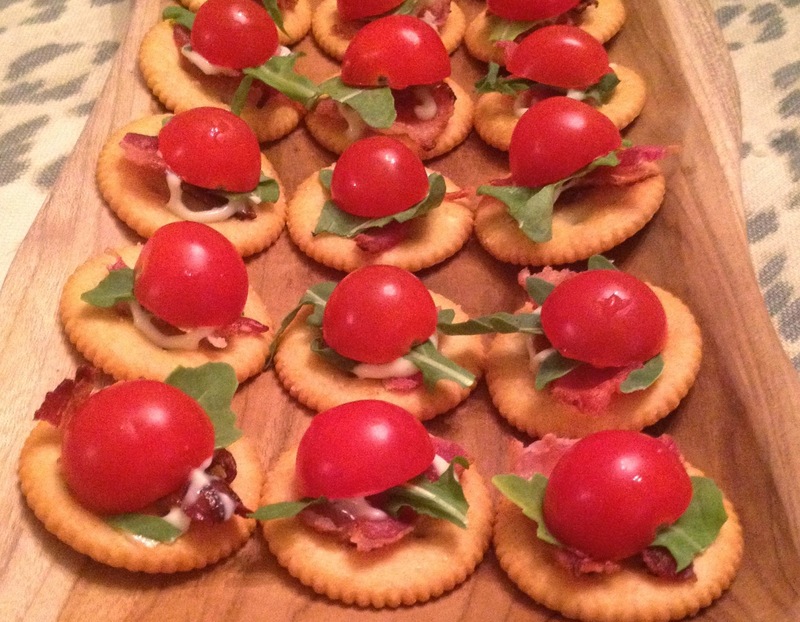 I had another post planned for today, but after making these yummy BLT Bites last night I couldn't resist sharing them! As I've mentioned before, a big group of girls gathers at Erin's house every week to watch The Bachelorette. We compete on teams, earning points for words like "love", "amazing"and "connection" as well as for actions such as a make out sesh, helicopter ride, or voiceover. Teams also take turns bringing snacks. Last night was my team's turn for snacks. When I got home from nannying I had a bad migraine that put me on the couch for about an hour and a half. After that I had little time to prepare my snack, so I had to come up with something fast based on ingredients I had on hand. I quickly checked Pinterest for inspiration and found these BLT Gourgeres. They looked delicious, but they didn't fit my timetable. They DID, however, provide ample inspiration! 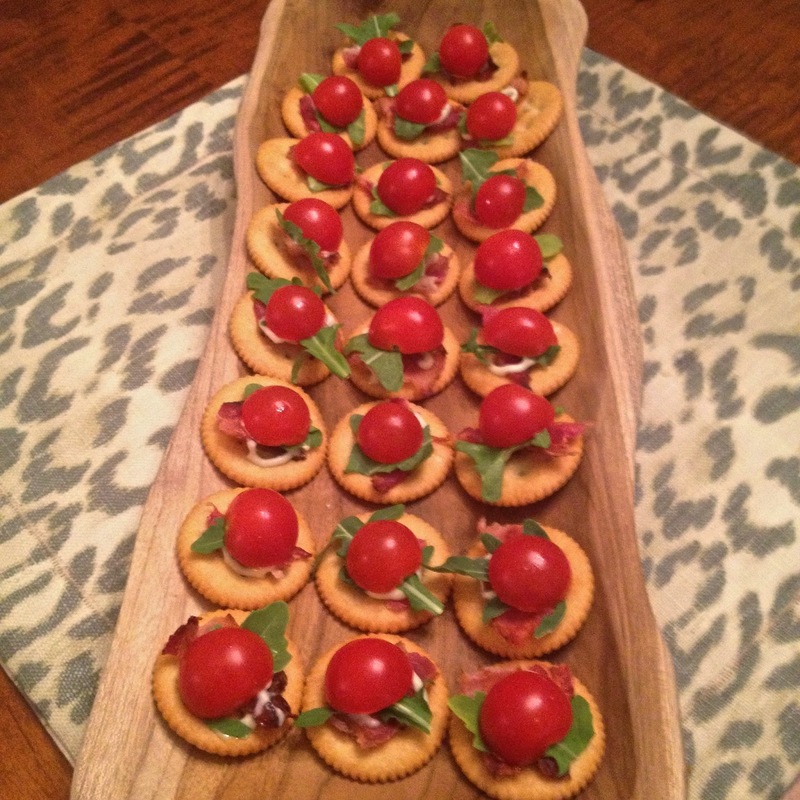 I present you with BLT Bites! Honestly, I feel silly even referring to this as a recipe, because it's so simple and easy! But here goes! 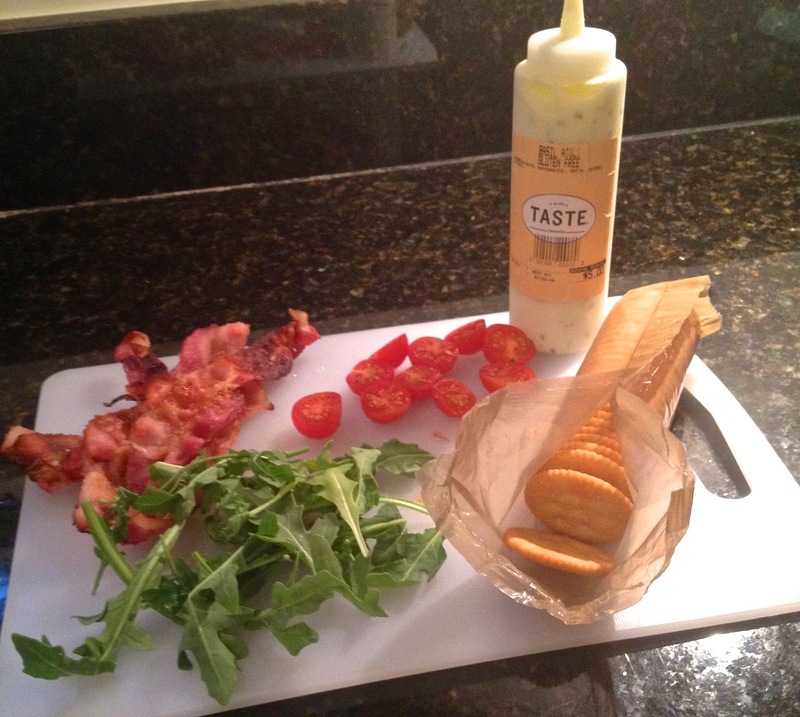 Place a small piece of bacon onto the cracker, top with basil aioli, arugula, and tomato half! Then...enjoy! What are your go to recipes when you're in a time pinch? Are you a fan of BLTs? Have you entered my Versona Giveaway yet? If not, click here to enter to win a Versona Accessories statement necklace and coordinating bracelet! Simple recipes are my favorite. These look delicious! I'm a sucker for anything involving tomato. Yum! I love BLT's and I am all for a quick and easy app - especially when I have something during the work week. Oh Allie, see look awesome! Yum! these look awesome, and easy is what I need these days!! These look so good, and definitely a recipe I can handle even in the dorm kitchen! Adding it to my "to-make" list for next semester! These look delicious! And I love apps that I usually have all ingredients on hand. yes yes yes! These looks delish and so easy! very impressive gal! Those look so tasty and easy! I'll have to give them a try! I love a quick but tasty app. You always have the best suggestions, I loved making your mac and cheese bites, cannot wait to give these a try! Yum! What a terrific idea. BLTs are my all time summer favorite with sweet MD corn on the corn! Glad your migraine went away!! I loved BLTs before going vegetarian - argula is probably my favorite lettuce. I bet these went fast!